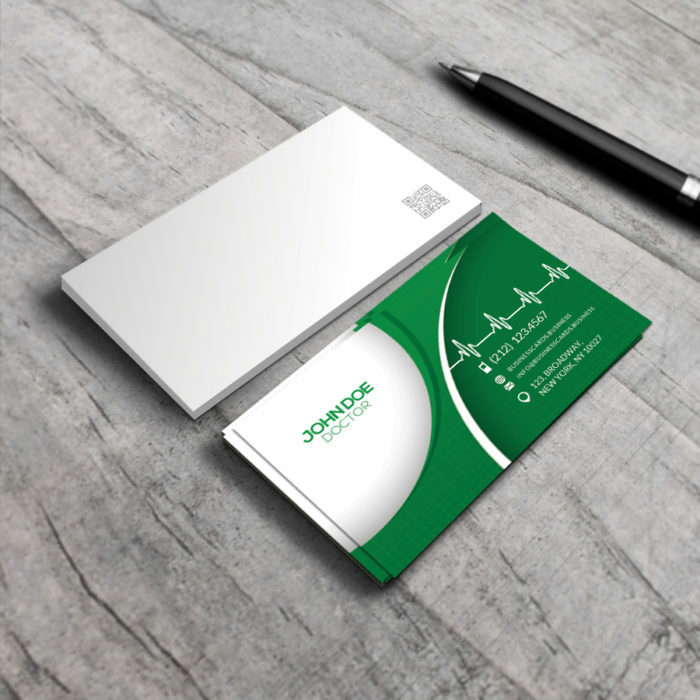 This business card design for Photoshop is a free Medical Business Card template that can be used either by physicians, doctors or professionals from healthcare industry. 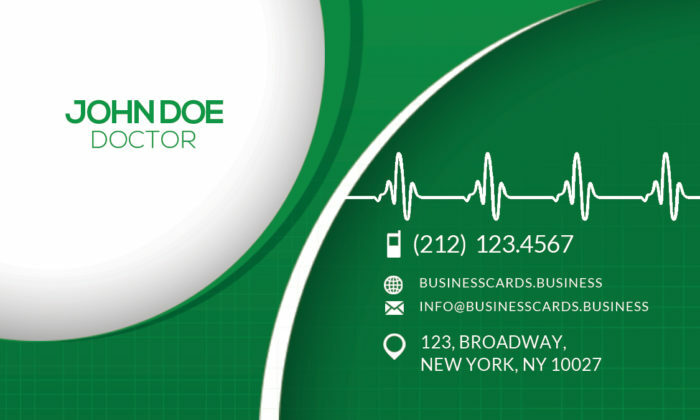 It contains a heart rate illustration and curve design in the front side of the business card. 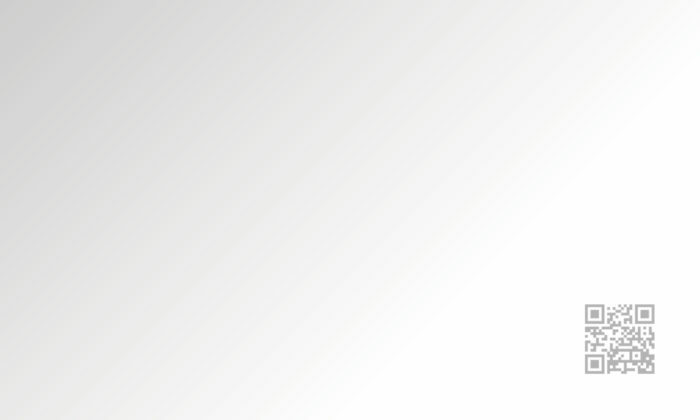 The back side has a light gray background with space to add a QR Code.